This is a Laptop that has an excellent hardware platform. Highly flexible and usable. 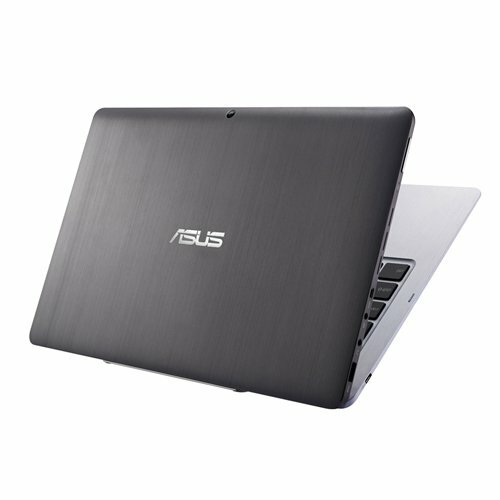 It has the ASUS branding which has come without a valid operating system. It is shipped with Windows 8.1 Premium without a valid license for the Windows Operating System. This may be an excellent compromise. Even it don't have any gaming power out of this thing. Display - This laptop comes with a beautiful display. 1080p Full HD Display screen that is an excellent touch responsive to the inputs. Its processor and ram are enough to handle the normal routine tasks. Storage, Boot & Sound - This has (SSD) Super Speed Drive that works super quick. As a result it takes booting just under 6 seconds time when its off and just 2-3 seconds when its in a sleep mode. It boast surprisingly good speakers inbuilt that outputs an immersive sound. It won't be vibrates the laptop cabinet. Its build quality and finish is spectacular. Including the aluminum keyboard attachment Top quality material is used in it. Keyboard/ Mousepad & Battery Life - It can be disconnect the keyboard just with the push of a button so that it can be converted into a tablet. Keyboard and mouse works absolutely fine because it has well-spaced keys on it. Its Key depressions and clicks are satisfying. The touch/mouse pad is also very responsive. But its keyboard charges separately from the tablet portion, which means you will have to plug the tablet to the wall charger, and then run the microUSB cable from the tablet to the keyboard. This also means that your only USB slot will be occupied when charging the keyboard. But the the one good thing is, the keyboard lasts about 3times the tablet's battery's life. Ports : It comes with a inbuilt microSD slot and USB version 3.0 slot. Battery : On power section it packs decent battery backup life. That would provides about 5 hours on high performance if you use its screen display on 100% brightness. Asus has given a few limitations inside that this provides 64GB of HD storage. Out of which 42GB (approx.) storage is occupied by the Operating System. It may not be a good choice if you need more storage. You may choose the i5 model with 128GB SSD. MicroSD slot is on the bottom of the tablet, where it mates with the keyboard. This means you have to flip the whole thing over to access the slot when docked, or disconnect. This also means that if you have the screen attached to the keyboard while resting on a soft surface, the surface can actually eject the card without you knowing it. One more thing annoying thing is that the screen cannot be tilted too far back when docked to the keyboard, as the screen portion ways far more than the keyboard. Over all it is a good product to use.